10.12.2013 - SFR has opened a new high-tech campus in the north of Paris. 30.01.2013 - SFR plans to expand its LTE coverage to the Paris business district, La Defense by the end of this month. Orange has expanded its LTE network to cover the capital city, Paris and will expand to 15 further cities in April. 24.01.2013 - MVNO, Lycamobile says that it has passed the one million customer mark - 18 months after its launch. 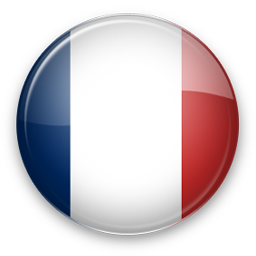 01.12.2012 - French mobile networks, SFR and Bouygues Telecom confirmed they are having discussions regarding network sharing in rural areas. SFR has launched LTE services in the city of Lyon following several months of trials. Q: Do you support all France networks? A: We support SFR, NRJ Mobile, Bouygues Telecom, Free Mobile, Orange and other networks. If some SMS network is missing please contact us and we will find solution for you. We work worldwide! A: You can find documentation and integration examples on International SMS Gateway page.